Time to shake off the cobwebs, plug in the battery chargers, and get ready for the riding season. 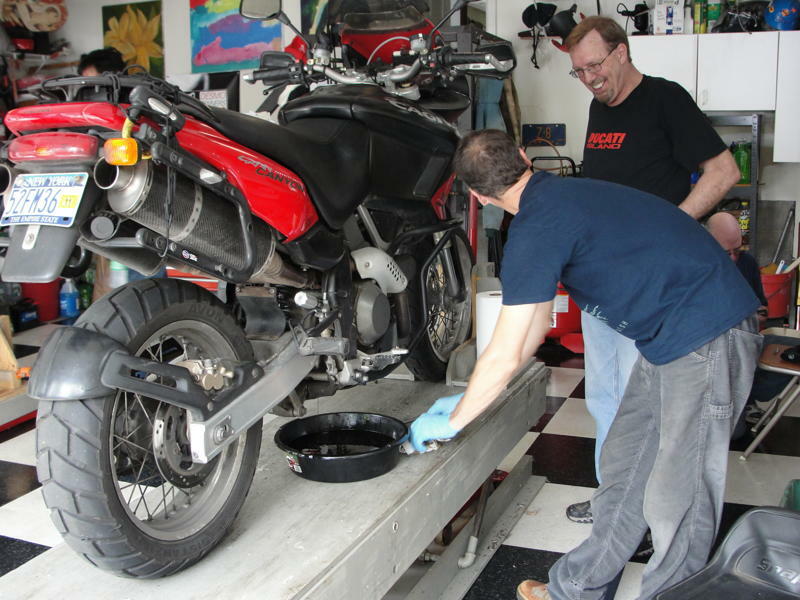 Bring out your Ducati (or Ducati-based bike) for some do-it-yourself maintenance under the guidance of Ducati-trained mechanics. 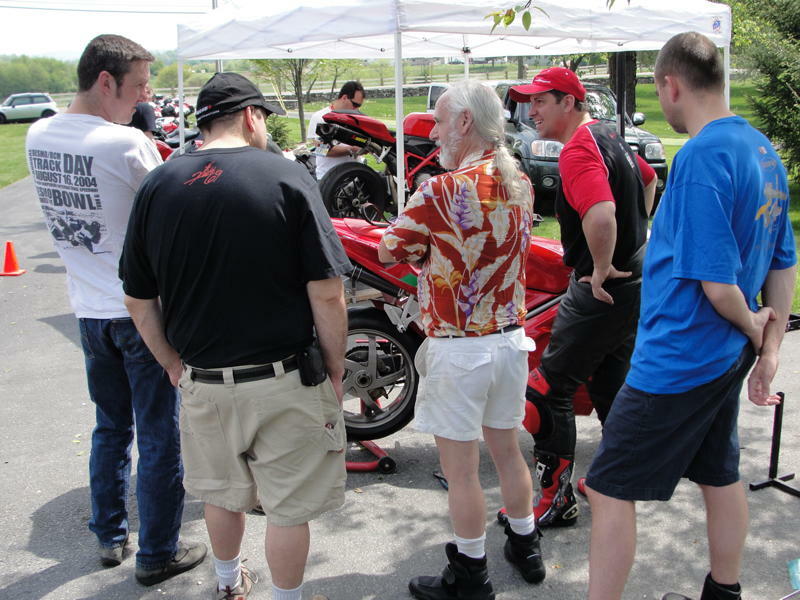 This year's Spill will be held on Sunday, April 28th at Hudson Valley Motorcycles in Ossining, NY. It is open to the public and all are invited. This is your opportunity to perform all the basic maintenance you neglected or aren't sure how to do. There will be plenty of trained mechanics to help. Change your oil or coolant, adjust your suspension, tighten your belts, lube your chain, bleed your brakes, chop your tail, install your bling, and do any other projects that time permits. Want to buy a new bit and unsure how to get it on your bike? Over the years, we've installed frame sliders, chains, exhaust systems, wheels, tires, brakes, and so much more. This is a do-it-yourself event. There will be plenty of guidance, but this is a do-it-yourself event. If you are interested in attending, cost is $15 for breakfast (bagels, donuts, coffee) and lunch (pizza, soda, water) per person. You do not have to perform maintenance (nor own a Ducati) to participate, but space is limited for those who want to perform maintenance. You may also purchase oil or filters, and any other fluids, parts, and accessories that you need, directly from Hudson Valley Motorcycles, for a special DESMO club price. You may not bring your own parts or supplies, and there's no need to bring any tools. It's also a great time to pick up something from the DESMO Shop, and avoid shipping and handling charges. Admission - $15 per person (includes breakfast and lunch) To perform work - $20 per person (includes breakfast, lunch, and 90 minute time slot). Space is limited, and is first-come, first-serve.